I am more than happy to offer my absolute endorsement of the Bed Bug Barrier products – in particular the powder. After 2 years of use at several of our properties I have not had a repeat outbreak in any of the rooms that were treated. I would recommend preparing all accommodation rooms within the building with your products as we have done with great success. After having used various pest controllers, residual insecticides, freezing apparatus, steaming apparatus and miscellaneous dusts, I have found that none of these can control problems long term. 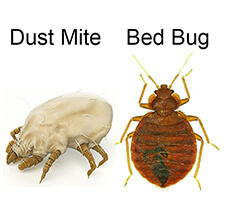 The bed bug barrier products have completely eliminated the issue at our affected sites. Furthermore I think your video on your website (www.bedprotector.com.au) is a great template for those using your products. The Bed Bug Barrier products are affordable, and only a fraction of what all the pest controllers charge; this makes the switch a no brainer’ for us.